I promise my mom fed me!! My skinny legs were out of control...as well as the hair, socks and one piece short outfit. Joey is also out of control. Camo from head to toe. Sweet. It's safe to say everything in this photo is out of control. 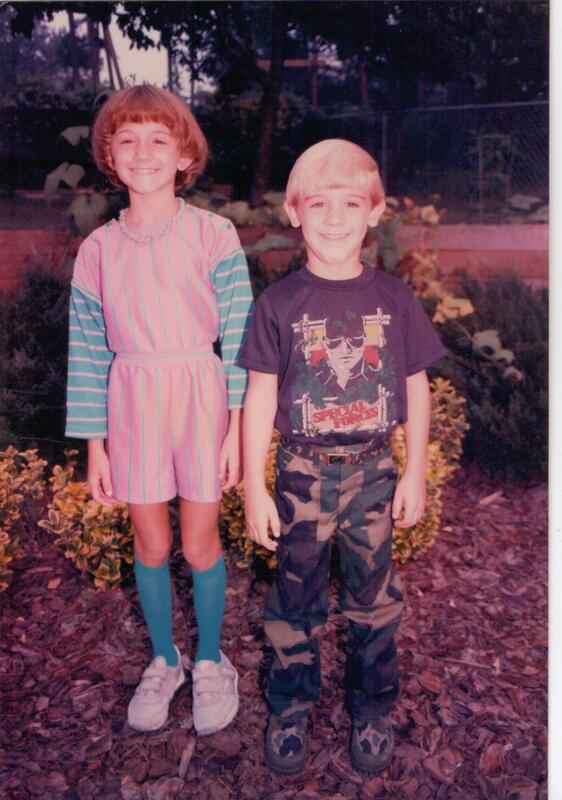 The 80's were a fine time for fashion. Don't want to leave Bryan out so here is a throwback of him as well. I think Sydney favors him so much.